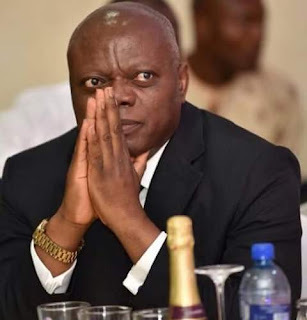 The University of Ibadan (UI) Vice Chancellor, Prof. Abel Idowu Olayinka has met with student leaders across the faculties on June 5, 2018 where he declared that he was not against student unionism, but he would not allow the students to overstay in school in the name of unionism while their mates in private universities graduate on record time. The student representatives including Hall Chairmen and Secretaries, Faculty Presidents as well as other interested students met with the ice chancellor at the Senate Chamber to raise various issues with the management as solutions and suggestions were proffered. The vice chancellor, who was meeting the broad spectrum of student representatives for the first time after the suspension of unionism, remarked that he had always wanted a forum where he could regularly get students’ input into the running of the university. The vice chancellor explained the management’s positions on some of the contentious issues when the forum became more lively as student representatives began to engaged him on various matters of interest including the restoration of student union. “I want you to convince me on what you are missing with the suspension of unionism by the Senate. Your primary reason of coming to this university is to get a degree. It is our responsibility to ensure that you achieve that goal and move on to become successful in life. I am not against unionism, but you will agree with me that this thing has been counterproductive.” Prof. Olayinka said. “Do you know how much of time we have lost to needless crises occasioned by unionisms of various nature? I think we should reason over the one we have control over and be realistic. During Prof. Falase and Prof. Bamiro’s tenure, student union was suspended for 10 years. I don’t think those students who passed through UI during that period are inferior in any way! Please, let us think about how you can get your degree on time because I know that union Presidency is not a degree”, he stated. Prof. Olayinka announced, on water and other municipal services that the university had hired a contractor to rehabilitate and dig more boreholes in order to ensure that water flows in all the hostels and toilets. A student from Queen Idia hall attested to the improved availability of light and water, therefore commending the Management for the relentless effort to ensure that the learning environment is conducive. The Vice Chancellor summoned the Director of Information Technology and Media Services (ITeMs), Mrs. Abiodun Alao who explained the issue of identity card that contrary to insinuation that the Cards were not smart ones, “the fact that the chips were not feasible didn’t make the cards ordinary”, adding that students will soon begin to see the functionality of the card when the second phase of the project is launched very soon. She stated that the money being paid for the identity card each session was for revalidation and not that the university was cheating the students by repeated payment for the same product. On the money being charged on unionism when the union has been suspended, the vice chancellor asked the Bursar to refund the money, urging the students to write to the student affairs on any matter of interest, just as he freely gave out his e-mail address and phone number to the students. The Dean of student affairs, Prof. Ajuwape in his own words also attested that the vice chancellor had approved purchase of various needs towards making water available all the time through water tankers. Present at the meeting are the Vice chancellor, Professor Idowu Olayinka, Deputy Vice Chancellor (academic), Prof. Adeyinka Aderinto, the Registrar, Mrs. Olubunmi Faluyi, University Bursar, Dr. Micheal Alatise, Dean of Student Affairs, Prof. A.T.P. Ajuwape and his Deputy, Prof. A. Abiona, hall and faculty student leaders.